A Deco M5 three-pack delivers Wi-Fi to an area of up to 5500 square feet, while a Deco M5 two-pack delivers up to 3800 square feet. And if that’s not enough, simply add more Decos to the network anytime to increase coverage. Deco M5 provides fast and stable connections with speeds of up to 1267Mbps and works with any internet service provider (ISP) and modem. Deco M5 uses new technology to cover your entire home in powerful WiFi. With multiple units working together seamlessly, Deco M5 creates a home network like nothing you've ever experienced. Deco M5 delivers WiFi up to 5,500 sq. ft. to cover homes of all sizes and shapes, from the corner bedroom to the backyard. Every Deco unit acts like a router to keep your Wi-Fi running fast, and a Deco M5 system can keep 100-plus devices connected at once. With Deco M5, you can walk from room to room with your smartphone or tablet and stay connected on a single Wi-Fi network. Deco M5 protects your personal data and every connected device from online threats like viruses and malware. The system also makes it easy to customize WiFi access for guests and family. Deco M5 adjusts automatically to give you the best connections when you add devices or walk around the house. Set up in minutes through the Deco app, and never fear—Deco M5 works with any modem or ISP. When paired with Alexa, you can control Deco M5 with simple voice commands. In just a few taps, monitor and manage your WiFi settings at home or away with the Deco app. 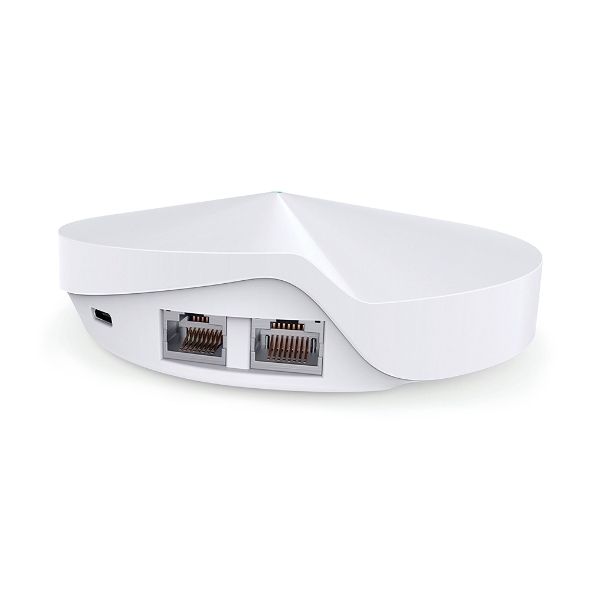 Deco M5 uses new mesh WiFi technology to deliver great WiFi in a way traditional routers and range extenders can’t. 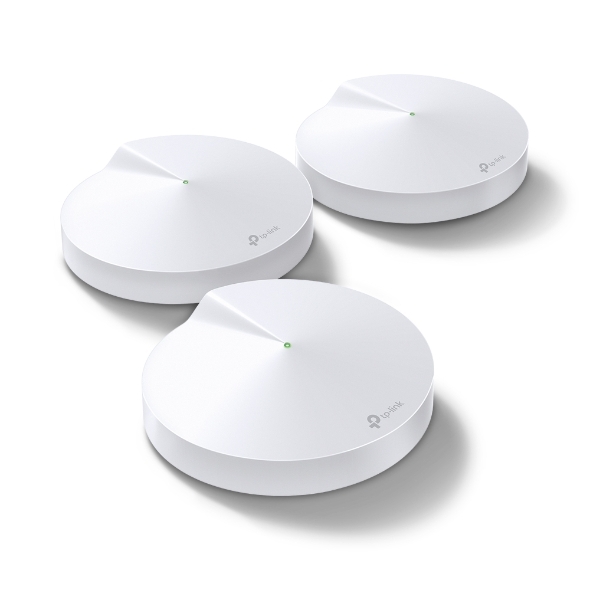 Multiple units work together to provide fast, strong WiFi that for everyone in your family. 1: According to a 2018 study by Allion USA in a 3,000 sq. ft. two-story house. Individual results may vary based on home building materials, house layout, network conditions, client limitations, and interference. Brick and cement. Floors and ceilings. Walls and hallways. All of them make it tough for WiFi to travel across your home. Deco units work together to move WiFi around the obstacles in your home and deliver complete coverage. 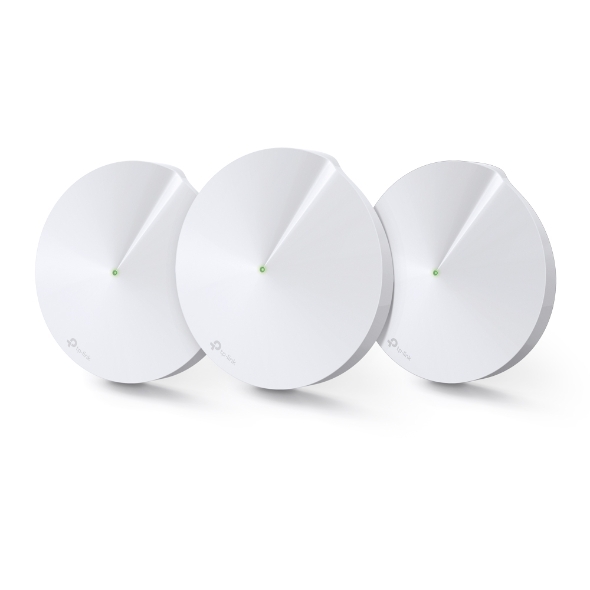 Which Deco WiFi System is right for you? How large is your home in square feet? 800 - 2000 sq. ft. 2000 - 3800 sq. ft. 3800 - 5500+ sq. ft.
From a bird’s eye view, what shape is your home? Every house is unique, with different layouts, a variety of building materials and personalized arrangement of décor. This all can affect how WiFi travels in the home. With the Deco M5 1-Pack, say goodbye to dead spots and enjoy corner-to-corner coverage. Every house is unique, with different layouts, a variety of building materials and personalized arrangement of décor. This all can affect how WiFi travels in the home. With the Deco M5 2-Pack, say goodbye to dead spots and enjoy corner-to-corner coverage. Every house is unique, with different layouts, a variety of building materials and personalized arrangement of décor. This all can affect how WiFi travels in the home. With the Deco M5 3-Pack, say goodbye to dead spots and enjoy corner-to-corner coverage. Deco provides better coverage and stronger signal than routers and range extenders. That’s because each unit is a powerful router with a quad-core CPU and four antennas. 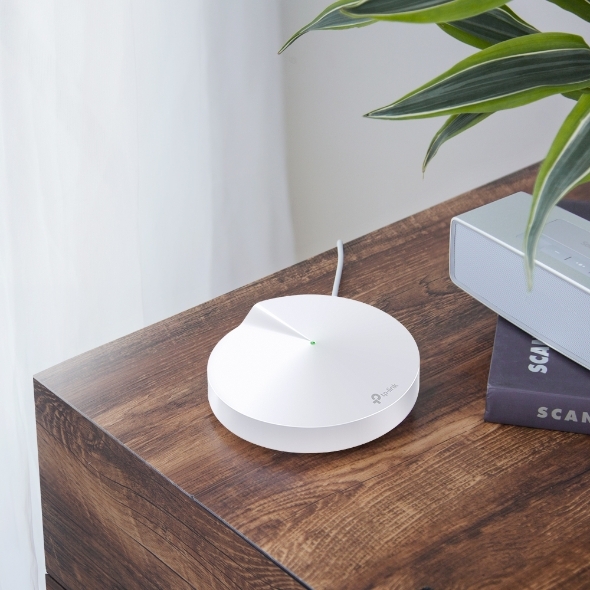 With multiple units working together seamlessly, a Deco system can connect more devices than a traditional router, supporting a mix of 100-plus smart home and WiFi devices. Deco units deliver seamless coverage and connect your whole home. 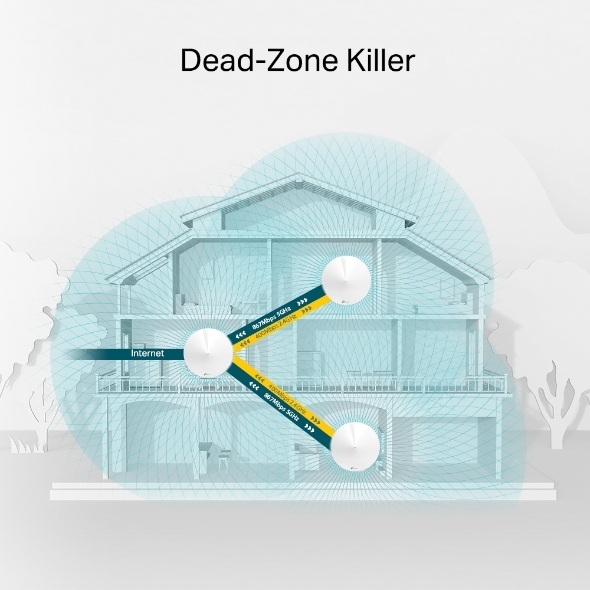 Range extenders add coverage to your home but create separate networks. 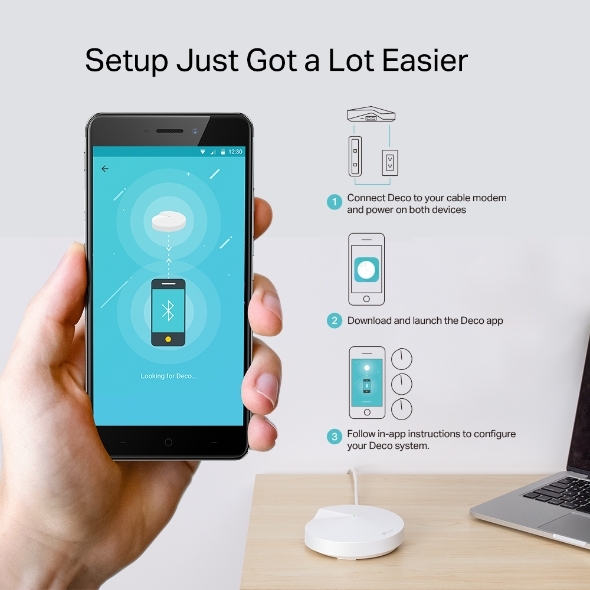 All you need is one WiFi name and password for your entire Deco network. Walk around your home and stream music or video chat with friends as Deco automatically and intelligently keeps you connected. Deco adapts as your WiFi needs change. Complex algorithms work behind the scenes to automatically and efficiently route data along the fastest path. Because Deco is a mesh system, it can use any route between the units to connect you to the internet. So, even if one of your Deco units loses power or is disrupted, Deco will adapt and reroute your traffic to keep you streaming and gaming. Deco only gets better and more secure with automatic firmware updates, and its firewall only allows approved packets onto your devices. Deco automatically encrypts every wireless connection using WPA2-PSK, whether it’s between each Deco unit or between Deco units and your WiFi devices. Deco automatically protects every device from viruses, malware, ransomware. That includes devices that don’t normally have protection, like WiFi cameras and smart locks. Create profiles and filter content using preset or customized lists while Deco automatically blocks malicious websites using a continuously updated database. Note: Comparison was compiled based on product information available from product brochures/websites as of 3/1/2018. No actual testing was performed. Everything you need for great WiFi is included in the box and on the Deco app. 1. Download and open the Deco app. 2. Connect any Deco unit to your modem and plug it in. 3. Create your WiFi name and password. 4. Use the app to set up more units and enjoy great WiFi. Deco makes it easy to manage your WiFi from anywhere, whether you’re on the couch or at work. Check your WiFi while away to make sure smart devices like lights, thermostats and security cameras are online and running. Adjust parental controls and other WiFi settings and provide access to family members so they can help, too. Receive notifications when updates are ready and choose the best time to install them to prevent interrupting your WiFi. Create profiles and keep your family safe with content filters. View a list of visited sites, block the inappropriate ones and set internet time limits. Prioritize the devices and activities most important to you with simple bandwidth control settings. Set up separate WiFi for guests and share the password to make it easier for them to hop online. Call a timeout on the WiFi during dinner and family game nights. Just tap a button to pause the internet for everyone in your home. Run a speed test to ensure you’re getting what you’re paying for. See every device on your network plus how much bandwidth they’re using. Standalone coverage up to 2,000 sq. ft. Covers up to 3,800 sq. ft. Covers up to 5,500 sq. ft.
***TP-Link HomeCareTM powered by Trend MicroTM (HomeCare) is included for 3 years from date of activation at no additional cost, after which would require an opt-in subscription at an additional cost. Opting-out of this subscription will disable certain features. For a complete list of HomeCare functionalities go to the HomeCare page on the TP-Link website. ****According to a 2018 study by Allion USA in a 3,000 sq. ft., two-story home.